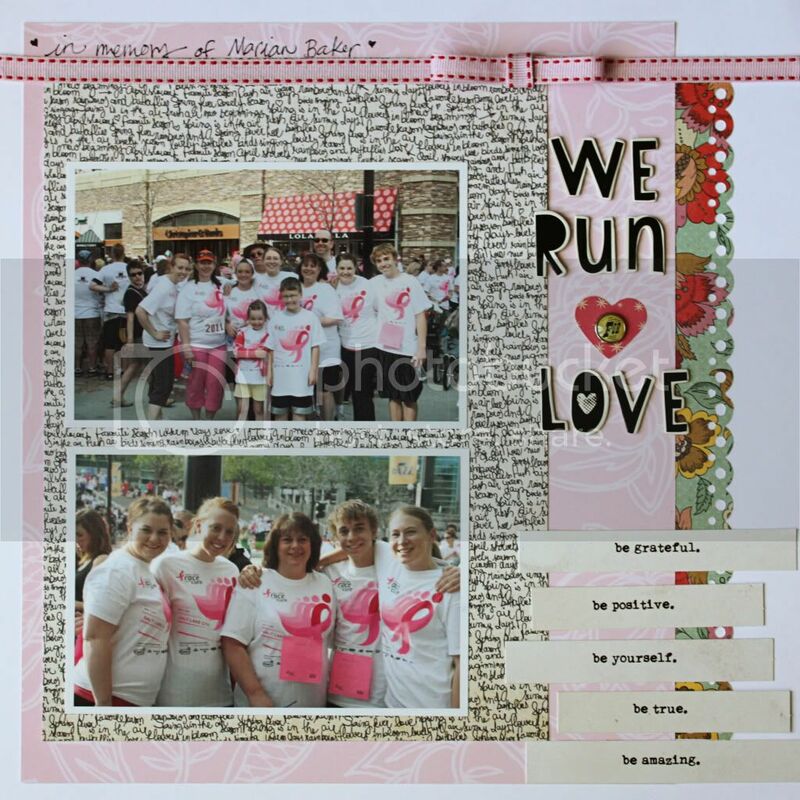 I never got around to scrapping these pictures from our Race for the Cure in May. I'm anxiously waiting for a box of new goodies, so I used some older pieces from my stash before the new stuff arrives. Super cute page! Thanks for playing! Great page - love all of your details!!! Reallt like this layout - I LOVE how you have done the journalling.